Civics Lesson: A Honda Civic concept shown at the 2005 Chicago Auto is a thinly-disguised version of the 2006 production model. I'm a little old for tuner cars, but it looks righteous to me - pleasing, sleek lines. The production SI model is expected to have 200 horsepower, up from 160. Sounds like a winner. I bet we'll be seeing lots of these new Civics on the road next year. As a brand, the Honda Civic is the spiritual successor to Famous Flathead Fords of yore. Like the '32 Deuce. 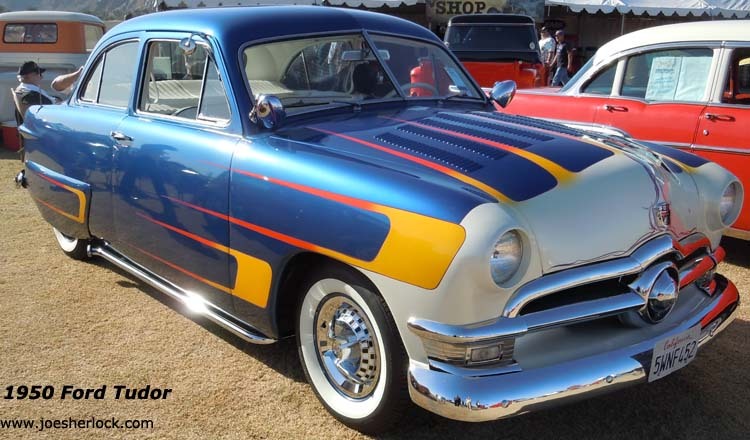 Or those '49-'51 Fords. When I was in high school, I'd see lots of flathead Fords in school parking lots - they were cheap to buy, easy to fix, replacement parts were plentiful and lots of engine hop-up parts were available, too. Most of these old Fords were Works In Progress, with Bondo, primer, mufflers held on by coathangers, etc. But these aging steeds were a tribute to the commitment and ingenuity of their youthful, car-crazy owners. The Civic is also the spiritual successor to the VW Beetle. The air-cooled Volkswagen was a nice, dependable car (for its time) but 1930s engineering only went so far, even if you assemble the car with great care and expertise. Like the old Beetle, Honda Civics are low in cost, cheap to run and incredibly reliable. My brother is on his 3rd Civic - since 1975. And his brother-in-law is now driving the second one - a 1983 model which, by now, probably has 300,000 miles on it. Honda makes money on every Civic they sell. Civics are so good that Honda doesn't sell them to rental car companies. They don't usually need to do 'deals' - the cars sell themselves - without a lot of hype. In the 1970s, you could find lots of Beetles in school parking lots. They were cheap, reliable wheels. And Volkswagen parts - stock and modified - were plentiful. But Volkswagen's time has come and gone. Today's kids are savvy enough to know that aging VW Golfs (unlike the simple, air-cooled Beetle) can be wallet-busters. Future Icon: The other day, I followed a new Honda Civic coupe down the road. Not the winged Si model; just a plain-vanilla Civic coupe. The color was uninspiring - it was an industrial blue. All massive plant machinery - stamping presses, injection molding machines, printing presses, thermoformers, die casting machines, extruders, etc. - is always painted industrial green or industrial blue. You know those colors - not pretty, just sturdy. Nevertheless, the little Civic looked great and, in today's anonymous vehicular world, unique. It's a handsome car. When someone writes a 1960s retrospective and a car graphic is needed, the piece is always illustrated by a Mustang. The Mustang was never a "great" car; aging Ford Falcon purists will continue to scream, "We wuz robbed!" And produce tracts with bulleted talking points proclaiming the superiority of the Sprint and other Falcon variations. But the flawed-but-stylish, low-priced Mustang captured people's hearts and became a best-seller and an icon for the freewheeling '60s. These days, graying males lovingly restore and/or maintain their 'Stangs, vainly trying to reconnect with their long-gone youth. In 2047 or so, when someone writes a retrospective of the 21st Century's first decade, the article will carry an illustration of the 2006 Civic. It will have become an icon. And like the Mustang, well-kept examples will draw admiring and envious glances. 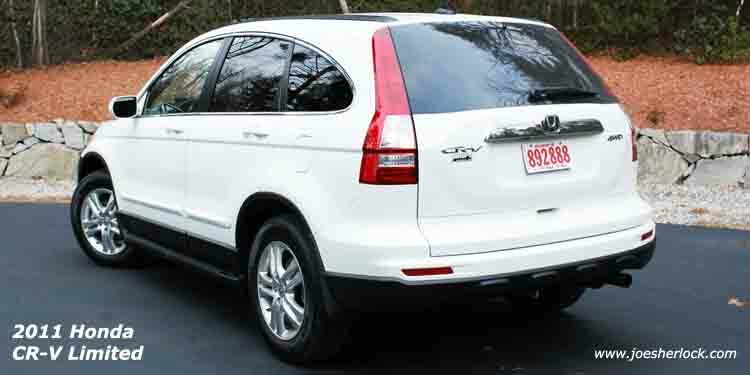 Out Of Its Element: Honda is discontinuing its homely small crossover at the end of the 2011 model year. 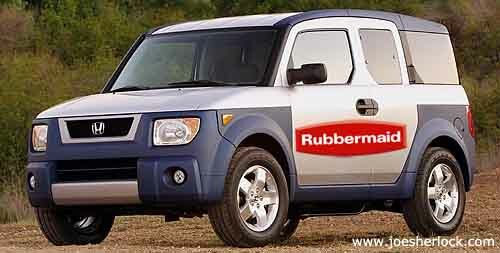 First introduced as a 2003 model, the Rubbermaid-inspired CUV was a surprise hit. In its first year, over 67,000 were sold. Sales averaged well north of 50,000 units per year during the first four years of its life. Then things headed straight down. Honda will sell around 14,000 of the little utilities in 2010. In comparison, the stylishly funky Kia Soul outsells the Element almost 5 to 1. Honda's offering is also handly outsold by fellow boxes-on-wheels, the Scion XB and Nissan Cube. The Element was supposed to appeal to college students as a dorm room or party on wheels - binge drinking-related vomit could be easily hosed out of its elastopolymeric interior. But most actual buyers turned out to be garden club ladies, gray-haired geezers with dogs or aging boomers with a fetish for overbuying at Home Depot. Civic Duty: Over at The Truth About Cars, Paul Niedermeyer has written nostalgically about the second-generation Honda Civic. These were very nice cars. My brother owned a 1983 blue four-door sedan and kept it for 10+ years before passing it on to another relative after 127,000+ miles. It stayed on the road, ticking like a clock for many more years and miles. It may still be puttering around somewhere - I've lost track of it. I once borrowed his Civic and found it to be a delightful car for a 150 mile day trip. The little 1500 cc, 67 horsepower engine had plenty of pep. The five-speed manual - unusual in those days - mated perfectly to the motor and the extra gear well a welcome addition for freeway cruising. Because it was light, the Civic was quite nimble and could run circles around my daily driver of the day - a wretched 1980 Oldsmobile Omega. All Civic engines of the period used the then-novel CVCC design, which added a third valve per cylinder and utilized lean-burn swirl technology. The Honda got great gas mileage - 40 mpg was not unheard of. The Civic was small on the outside - about the same length as an air-cooled Beetle - but was surprisingly roomy inside. Good packaging. Loyal & True: Honda buyers tend to be brand-faithful. The top five auto brands for retention rate are Honda, Ford, Hyundai, Lexus and Toyota. All closely bunched in the 59-62% range. The bottom five in customer retention are Saab (4%), Jaguar (16%), Dodge (24%) and Scion (25%). The industry average is 48%.